Raise your hand if you’re renovating a room right now! 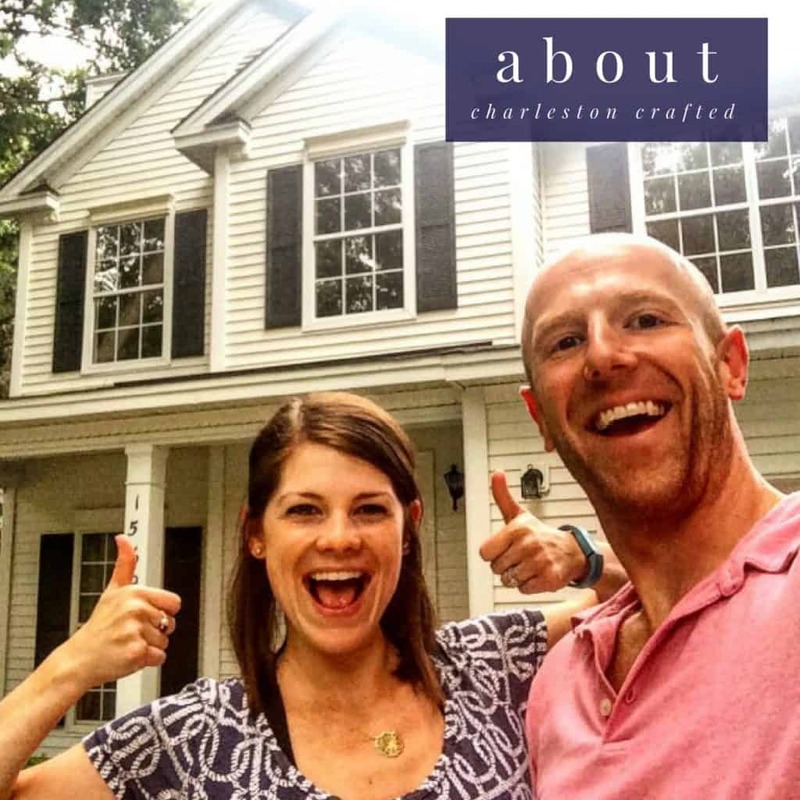 *Insert hand emoji for us too* We’re knocking out our soon-to-be nursery and it’s got us thinking about all the other rooms we’ve renovated over the years. 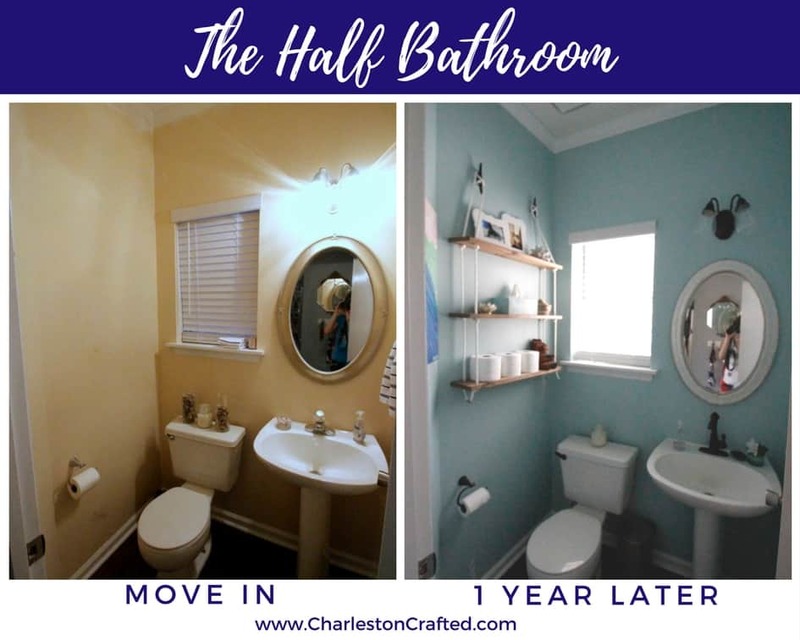 We’ve done five bathrooms between the condo and the house and wanted to throwback to four inspirational bathrooms we’ve done to hopefully give you some inspiration if you planning to tackle your powder room soon! 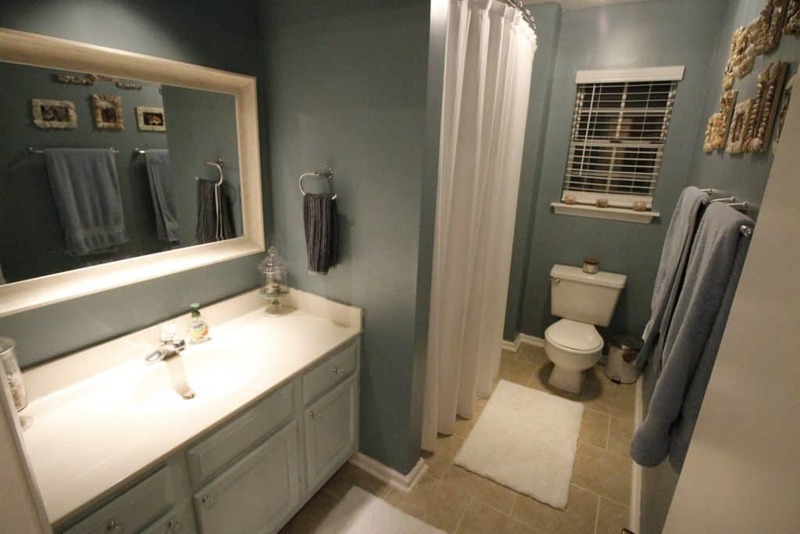 Modern Trendy Colors– when we did our condo master bathroom, we went with what was on trend and tied it to our bedroom that we had also done on trend. At the time, we went with grey walls and yellow/white curtains. We added flair by tiling around the edge of the existing builder’s grade mirror. If you’re looking to do a bathroom that you know you won’t be in for too long, go with something stylish and trendy for now, knowing it won’t be your problem to change it when the style dies! 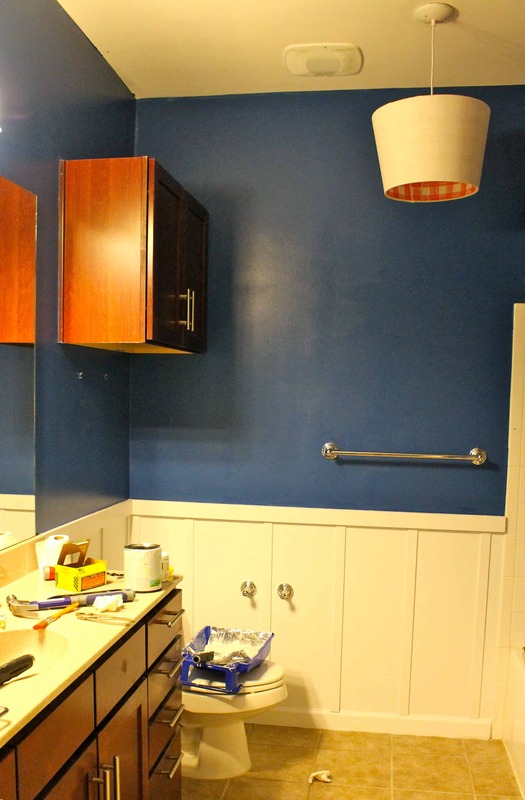 Cheap and Stylish– we did our half-bath for the $100 challenge last year to prove that it was easy to knock out and totally redesign a room on a low budget. By creating decor like our own paintings and building floating rope shelves to utilizing and modernizing existing features like painting the light fixture and putting rope on the mirror, it was easy to make the room new for cheap! Subtle Nautical– we did our full guest bath in the house in the same style we had done our master bath to flow from room to room. We painted and scraped the ceilings, but then just added simple nautical touches like seashell frames, a new mirror and some accent decor. 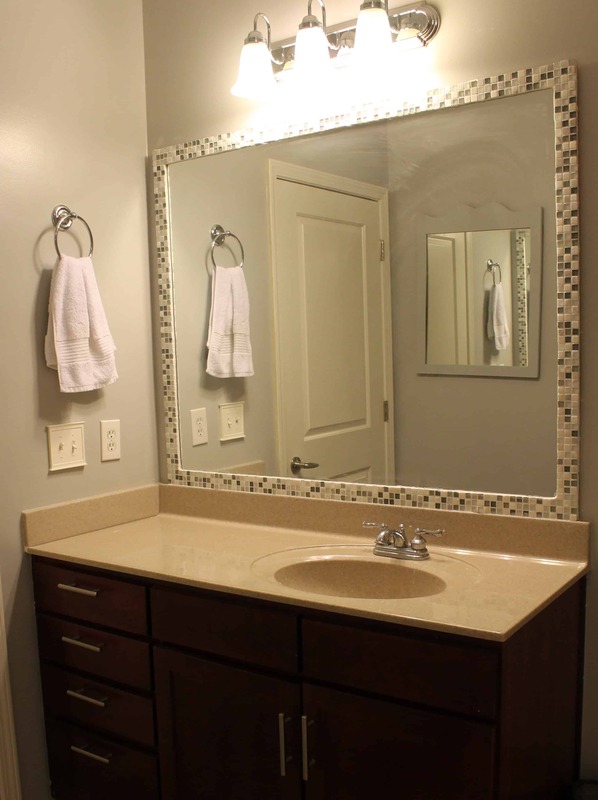 Board and Batten– people don’t typically think of using board and batten in a bathroom, but it’s such an easy and inexpensive way to make an impact. Especially by making it white, you can use a darker color on the upper half of the wall for pop. Again, you can do something on the edges of a builder grade mirror, like adding wood, so that you don’t have to buy an overpriced huge mirror. « DIY Live Edge Wood Shelves – the Easiest Tutorial!